For over many years, we have known the benefits of including fatty fishes in our meals or fish oil supplements along with our normal diet. The reason for including fish oil supplements would be to bridge the gap between your diet and deficiency. Heart Health: Fish Oil supports heart health because it’s high in the Omega-3 EPA. 1. Circulatory system health, blood lipid levels, cholesterol, triglyceride levels and the body’s natural anti-inflammatory response. 2. Studies show that Omega-3 consumption can support healthy blood pressure and triglycerides and reduce the risk of cardiac death. 1. Omega-3s play a key role in proper structure and function of brain cell membranes and cell signaling. 2. Clinical research has shown that adequate Omega-3 consumption improves focus, speeds up cognition and slows cognitive decline. 3. DHA is the superior Omega-3 for developing the brain in the developing fetus and newborn baby. 1. Omega-3s have been shown to protect and lubricate the eyes, helping to slow the onset of many age-related eye concerns. 2. DHA is the superior Omega-3 for development of the eye in the developing fetus and newborn baby and support for healthy vision. From the above benefits, we are very clear that fish oil in the form of capsules is very much known for its omega-3 content. Fish Oil is usually derived from fatty fishes like anchovies, mackerel or salmon. Krill Oil, on the other hand is extracted from Krill, a small cold water shellfish similar to shrimp. Like fish oil, krill oil is also high in EPA and DHA and provides the same health benefits like help support heart health, as well as promote the health of the brain, joints, eyes and skin, also supports the body’s natural anti- inflammatory response which impacts areas across the body including joint, heart health and risk for cardiovascular disease. But, the two main differences between fish oil and krill oil would be the structure in which the EPA and DHA chemical structure and the presence of antioxidant. 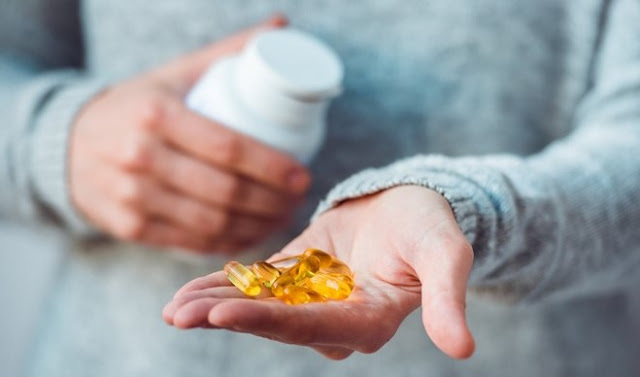 The fatty acids in fishes are usually found in the form of triglycerides, whereas krill oil provides phospholipid bound omega-3s, making them more bioavailable for the body to use compared to the Fish Oil. This makes the krill oil superior in terms of better absorption. One of the studies done to compare the effects of krill oil and fish oil observed that blood concentrations of EPA and DHA were higher as compared to the fish oil. Apart from the absorption, krill oil is also high in antioxidant called astaxanthin, which is also responsible for its red colour. Fish Oils are usually yellowish in colourand has lesser antioxidant power.Astaxanthin had been shown improve the cholesterol levels and also reduces oxidation of the krill oil supplements on the shelf. GNC brings to you Triple Strength Krill Oil with 220 mg of highly absorbable EPA and DHA. Clinically proven to promote joint and heart health.